Chicago's River North neighborhood is filled with delicious dining options featuring just about every type of cuisine; but one that stands out, for it's delicious rustic Italian food, is Davanti Enoteca. This past November, during a brief culinary exploration of this section of the city, I was able to try Davanti Enoteca and below are some of the tasty bites I tried. Having known Chef Peter Devuro from his years working in Scottsdale restaurants I knew that although Davanti is part of a small restaurant group, I wouldn't be disappointed in either the quality or the taste of the food. And I was right, Davanti met and exceeded my expectations. The server was wonderful and the food couldn't have been better. Even the cocktails were on point. 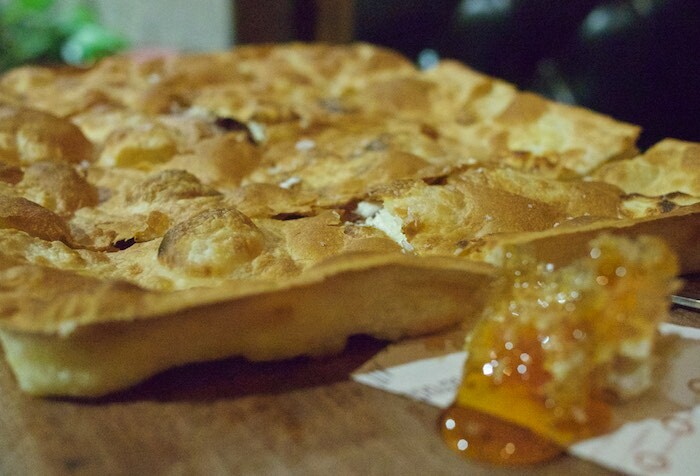 A signature and delicious dish at Davanti's is the focaccia which is filled with a mixture of soft cheese and served with honeycomb. No matter what you come to Davanti's for; drinks, appetizers or pasta, I would recommend starting with the focaccia di Recco. 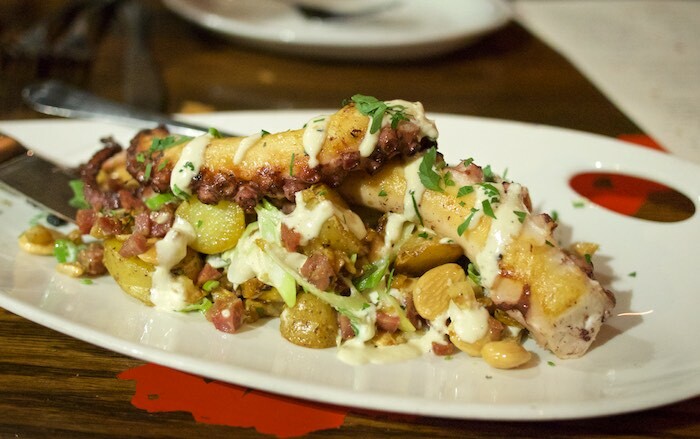 Another appetizer that should be on your radar is the grilled octopus and potato salad. This flavorful salad is a mix of octopus, grilled almonds, little potatoes and fennel, all lightly dressed with a horseradish aioli. One bite and you will agree this combination is unbeatable. You should also not leave Davanti's without tasting some pasta, specifically the white bolognese. 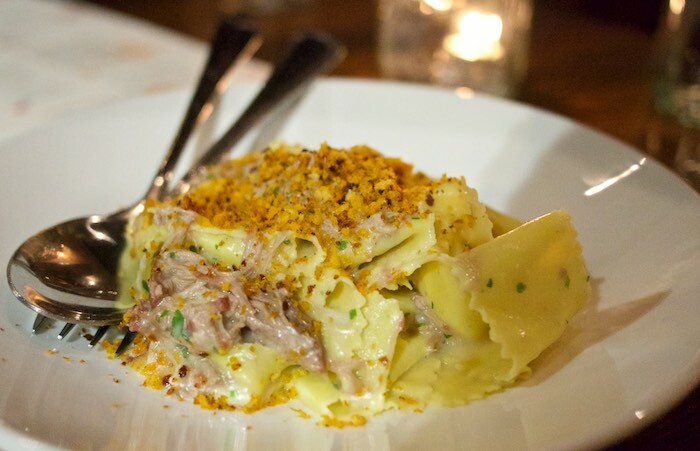 Handmade pasta is tossed with a milk braised pork ragu. The milk tenderized the meat is finished with toasted breadcrumbs making it a tasty pasta option. Attached to Davanti's is a new addition to the restaurant group; Glazed & Infused Doughnuts offers unique handcrafted gourmet doughnuts. 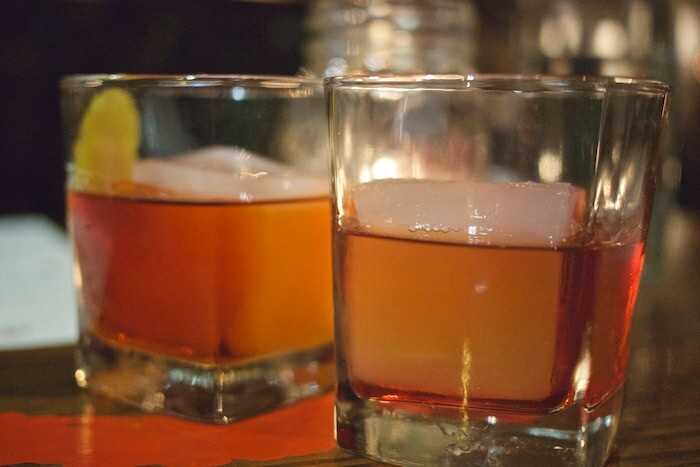 Don't hesitate to run in for one and bring it back to your table. Dinner was delicious and I only wish I had more time to try other menu items; which means a return visit is in the works! I will have to check them out next time we're in the city! Great review. Looks like you guys had a good dinner. I'll have to give it a try next time I am out that way. I love Italian food and I love Chicago! I would love to go to Chicago. 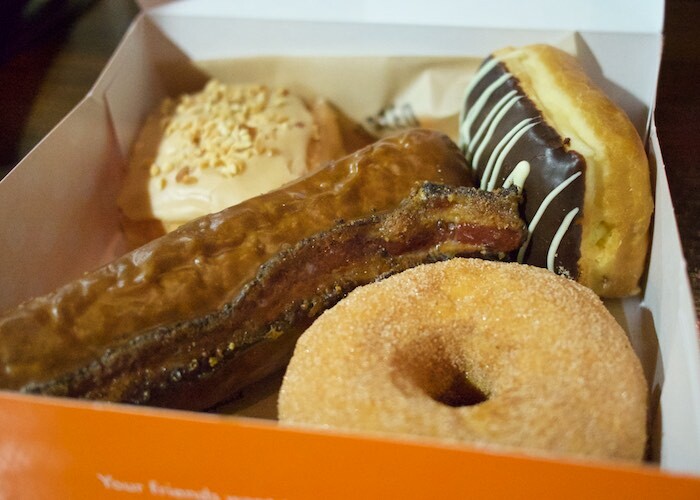 Those doughnuts look amazing, you have convinced me for sure. Heavens, that food looks amazing - all of it! Will keep this in mind the next time we're in Chicago, thank you! Sounds like such a great meal out! Looks like a great place with awesome eats! That octopus looks divine, and those doughnuts, yum! That octopus looks seriously tempting! All this Italian food looks to good to be true! The octopus looks amazing! In fact, everything does. ooo yes! octopus, grilled almonds, little potatoes sounds like my kind of dish!